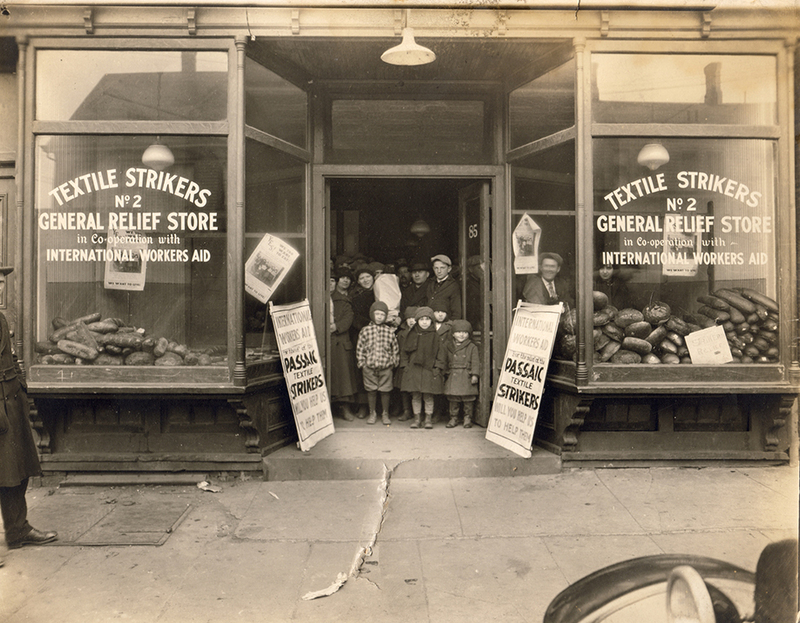 Textile strikers with their children in front of them stand in the doorway of a General Relief store. This was one of the strike relief centers run by International Worker's Aid. “Textile Strikers General Relief Store No. 2, Passaic, New Jersey,” Social Welfare History Image Portal, accessed April 26, 2019, https://images.socialwelfare.library.vcu.edu/items/show/239.